A visit to nature or everyone is in charge of rabbits. В гостях у природы, или всем заправляют кролики. 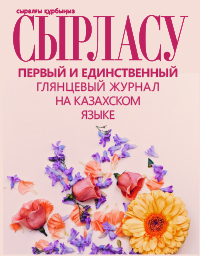 The company of Swedish decorative cosmetics IsaDora Kazakhstan invited to the event, timed to the International Women's Day and the launch of the novelty among the mascara of IsaDora Build-up Mascara Extra Volume. In the State Museum of Arts named after A. Kasteev in Almaty the exhibition of unique 4-meter dresses of designers-participants of the Kazakhstan Fashion Week «The Great Silk Road» opened.